Wallpaper installation is a tricky task for most people. No matter what you call it from paper hanging to wallpapering even some of the most proficient DIY enthusiasts can struggle with wallpaper installation. From measuring up so you buy the right amount of wall paper to cutting, pasting and hanging without dreaded bubbles, some people find this task a nightmare. Sure everyone has the ability to give it a go but with wallpaper costing from upwards of £5 per roll, right through to hundreds of pounds per roll, giving it a go can become quite costly if you get it wrong. No matter where you are in Wigan Parkinson Decorators can provide a complete wallpaper installation service to suit your needs. From helping you choose the right wallpaper for your walls or simply dropping in to hang the paper, we can help. Our highly skilled and experienced decorators ensure your wallpaper is installed to the highest standard possible. 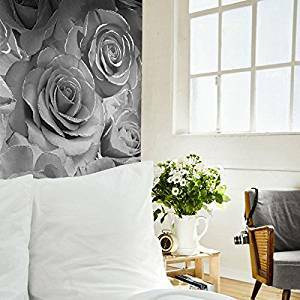 We take care of every aspect and are able to hang many different types of wallpaper from heavily embossed, large patterns, wall art and murals. Why worry about matching the patterns yourself when a Parkinson decorator can take care of it all from start to finish. We can help with everything from measuring up, purchasing from some of the best suppliers, preparation and of course cleaning up. With many years of experience installing a variety of different wall coverings you’re sure to be delighted with our level of service. Wallpaper installation for the whole of the Wigan area. No matter how big or small your job our experience, expertise and attention to detail provide you with a great job at the right price. For a free no obligation quote contact us today. Parkinson Decorators are a long established and experienced decorating service covering all aspects of interior and exterior decorating. Covering all areas of Wigan and the North West we provide a high quality and super value service from start to finish.